Do I Really Need A CRM System? Some of my clients are very small “trades folks”, the guy or gal in a truck, with their tools and their craft. They may have a team of up to 20 but for the most part they are a one-person show. 1) I keep them in a notebook in my truck…gasp! 3) I have them in my email…really? 4) I have them written on sticky notes on my desk…uuuuuuugh! 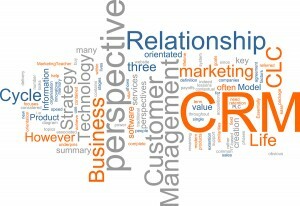 You need a CRM Software (Customer Relationship Management). Satisfied customers and the growth of your business go hand in hand. To help your business grow it is high time you put in customer relationship management (CRM) software and browser based applications system to handle the management of your customer relationship in an organized manner. Increasingly marketing and sales campaigns are online and run through social Media platforms like Facebook, Google+, Twitter to name a few. You have to network with possible leads within your industry to improve your business. Data will be collected from all over and from all your employees who network with your customers across all possible channels. 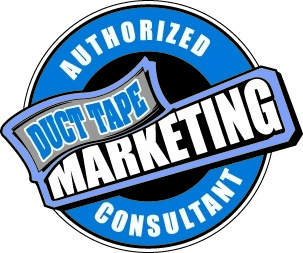 It has to be accessible to your marketing and sales teams even if you outsource this function to someone like me www.trudelmarketing.com. Unless the data is organized and made available in a systematic manner, you cannot properly utilize it. Lists of your customers have to be structurally maintained along with a marketing plan to communicate. Very useful for determining whether the launch of new product will be received favorably. A small survey now and then will help you assess the level of customer satisfaction and to take remedial action if necessary. In a small business CRM helps in many ways. It helps you develop and measure marketing strategy with clear goals and objectives. CRM tracks good customers and targets them for your marketing. It generates sales leads who are genuinely interested in your business and turn them to prospective customers. CRM provides your employees with all the information required about your customers’ requirements. Obviously this leads to good relationship with customers. It helps you develop more personal customer relationship with your best customers providing them better service and cementing good customer relationship. By concentrating on the best customers you save on time, efforts and money with positive results in your profits. Now that you know CRM is a sound business investment before selecting and installing a CRM, do the following to ensure you are opting for the right system. The CRM system should be simple, easy to use and should integrate with your other systems. An important factor is that data should be fed into the system by everyone. A system is only as good as the data it contains. Reports should be real time. Check whether your goals are being met. Studies indicate a 29% increase in sales for organizations that have fully utilized CRM systems…So what are you waiting for?